At Chase NW Roofing we install a complete roofing system. The home improvement hero’s at Chase NW Roofing have done it again! We transformed the appearance of a home by installing a new GAF Timberline roofing system. Our latest re-roof was performed in Federal Way Washington. The family was so happy with the customer service and care that we put into making sure everything was perfect for them. They left us a great review on our Google Places account. We installed a Timberline High Definition composition roofing shingle. The color of the shingle is hickory. 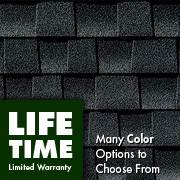 The features of the Timberline shingle are: Limited lifetime 50 year warranty, high definition profile, new advance mat technology, and the peace of mind knowing that GAF has been around for over 100 years. As always we included a “Systems Plus Upgraded Warranty.” This extends the warranty coverage over every component of the roofing system for 50 years non-prorated. It also includes a 2 year labor and workmanship warranty from GAF. We are thankful for yet another satisfied re-roof customer and a family that is well protected. Our mission is to provide the Puget Sound area with an exceptional roofing experience. We service both the commercial and residential roofing industries. Our track record of success has been the key which has kept us flourishing through the economic down turn. We take the worry out of choosing a roofing contractor. 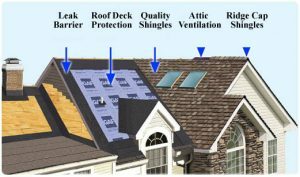 Chase NW Roofing is factory trained and certified with GAF, IKO, Versico and Custom-Bilt Metals to install almost every roofing application. We specialize in composition shingles, torchdown, single ply, metal roofing, wood shakes, slate and concrete tile. We have been providing quality re-roofs in the North West for over a decade. If you are interested in a fee inspection or estimate please call us at 253-445-8950 or fill out our free estimate form. Nice blog. Thanks for sharing. Have a look on Colorado springs roofing companies, provides best quality roofing service. Your website is fantastic. Very interactive. I like the corner page peel and the sidebar with the videos. Are you interested in exchanging links via a guest blog? Keeping your home leak free could be done if you install the roof properly. I think that the materials used is just one factor on ensuring a high quality roof.